Our customer in the oil and gas industry asked Boldman to design and manufacture a fully glazed high pressure test cell for high pressure testing of subsea trees and high pressure tree parts. The cell has to allow operators to see into the cell while testing is taking place in complete safety. Boldman designed and manufactured a structure to withstand a strike from a 3/4″ two part BuTech MP fitting under tests up to 25,000 psi. The modular design used our standard 160 x 160 aluminium profile for the vertical supporting posts to which large laminated ballistic glass panes were attached in multiples of two high. We installed a bi-folding door and a manual door locking system, designed to rigorous specifications that met the requirements of a potential strike and continuous use. 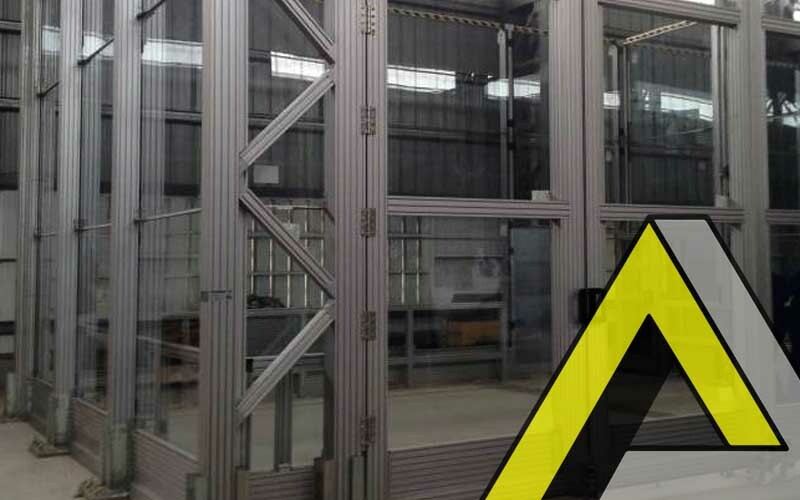 Design and build of this innovative test cell presented a challenging task: The success however resulted in further orders being placed by this customer and other customers in the Oil and Gas industry. For more details on our high pressure test cells have a read of this great feature in Aluminium International Today magazine.